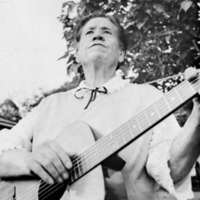 Ballad singer and songwriter Kate Peters Sturgill preserved the music of her Appalachian region through her recordings and collection of folk songs. 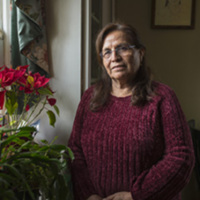 A native of Bolivia, Julia Garciais a leader in the preservation of her native Quechua language and Bolivian folk traditions, especially dance. 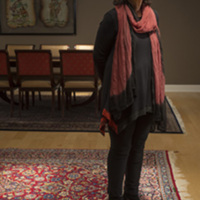 A native of Iran,Farideh Goldinis the author of Leaving Iran: Between Migration and Exile and Wedding Song: Memoirs of an Iranian Jewish Woman. 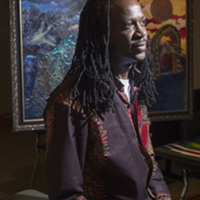 A native of Nigeria,Solomon Isekeijeis currently the director of the Division of Fine Arts at Norfolk State. 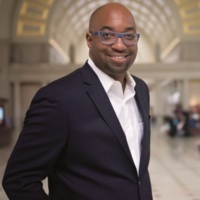 A native of Bangladesh,Pryalal Karmarkar is co-founder of Prio Bangla, a major cultural arts festival in Northern Virginia. 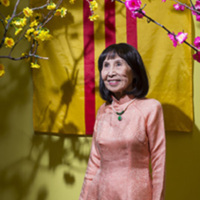 A native of Vietnam, Nhi Le is the founder of aVietnamese literary society and center for the preservation of Vietnamese culture in Northern Virginia. 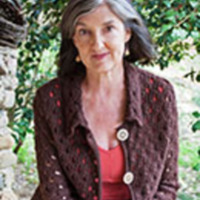 Acclaimed novelist and writer Barbara Kingsolver addresses issues of social justice, the environment, and human rights through her fiction and nonfiction. 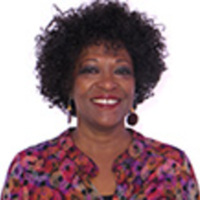 A former poet laureate of the United States and of Virginia, Pulitzer Prize–winning author Rita Dove cultivates public awareness of American poetry and its increasing diversity.